Note: The following is a response to a recent review by Javier Sethness Castro of David North’s publication, The Frankfurt School, Postmodernism and the Politics of the Pseudo-Left. Javier Sethness Castro is an academic with an interest in the Frankfurt School. Politically, he is affiliated with an anarchist organization. 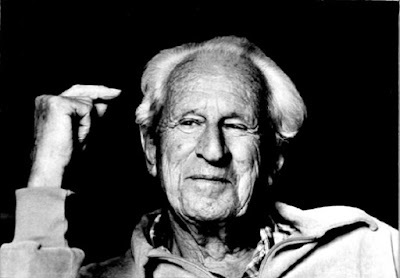 His recently published book on Marcuse, Eros and Revolution: The Critical Philosophy of Herbert Marcuse, is available from Brill Publications. 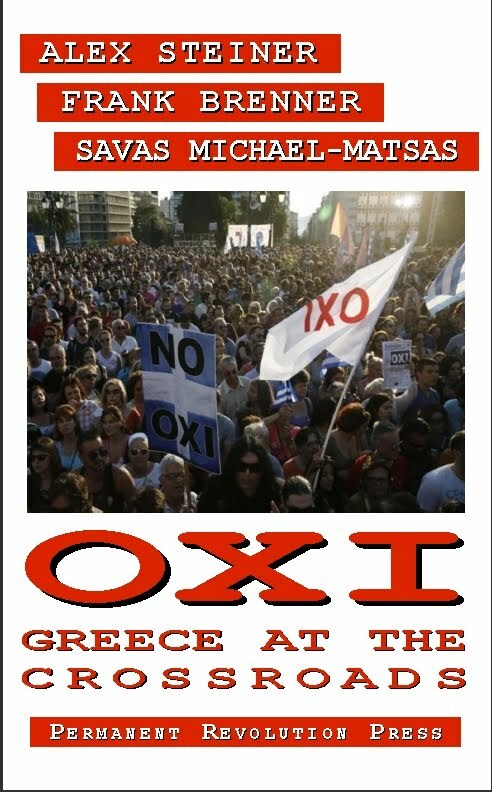 A paperback version is forthcoming from Haymarket Books. With the exception of the last sentence I fully concur. My disagreement with the last sentence is the reviewer’s assumption that North’s thinking is synonymous with Trotskyism. As I have been the chief target of North’s “slanderous character assassination and half-baked theories of guilt by association” in a number of polemics over the past 14 years I think I have some unique insights into this subject. In collaboration with my colleague Frank Brenner, I tried to demonstrate in a number of essays that North’s philosophical outlook bears little resemblance to Marxism and Trotskyism. If I were to pin down what his philosophy most closely resembles, I would say it is the crude reduction of Marxism to the mindless formulas of the Stalinist vulgarization of Engels that has come to be known as “diamat”. I think Mr. Sethness makes a serious error when he conflates the Marxism of Trotsky with the vulgarized caricature of Marxism espoused by North. I wrote an essay a number of years ago explaining why I thought Trotsky deserves to be remembered not only as one of the leaders of the October Revolution, but as a serious Marxist theoretician. Obviously Sethness, writing from an anarchist perspective, has a different opinion about Trotsky. While I have a very different political perspective than Sethness and while my assessment of the practitioners of the Frankfurt School differs from his in important respects, I nevertheless want to acknowledge the value of Sethness review as providing a real service in contributing to the debunking of the intellectual fraud that has been perpetrated by David North for a number of years. Another clear issue is North's conflation of Critical Theory with postmodernism—a gross distortion. There is a back-story to North’s conflation of the Frankfurt School and postmodernism about which Sethness is probably unaware. The targeting of the Frankfurt School as the fount of all intellectual and political evils and the inspirer of postmodernism is a relatively recent invention of North’s. Prior to our initial polemics written in the period 2003-2006 where we had some positive things to say about some of the contributions of Critical Theory there is barely a mention of the Frankfurt School in the works of North or other WSWS commentators. Rather at that time the bête noire of North and his followers was postmodernism. You can find a clear example of this trend in the following lecture delivered in 2005 by David Walsh, the long time art and culture critic of the WSWS, Marxism, art and the Soviet debate over “proletarian culture”. This lecture, which summarizes what the author considers the Marxist position on art and contrasts it to other bourgeois trends, includes several swipes at postmodernism but does not include a single reference to the Frankfurt School or any of its practitioners. And this treatment was not unusual but was typical of articles you can find on the WSWS from that period and earlier. Now if you contrast this lecture with another lecture given by the same author 4 years later, The future of art in an age of crisis, you find a very different narrative. Suddenly the full weight of Walsh’s invectives falls on the Frankfurt School with postmodernism being depicted as its intellectual descendant. What happened in the intervening period between these two lectures to account for this dramatic change in focus? The answer: our polemics and North’s response in his first outing against the Frankfurt School, Marxism, History and Socialist Consciousness (MHSC). After the publication of MHSC it became de rigueur for all WSWS commentators to include lengthy denunciations of the Frankfurt School in any piece commenting on contemporary culture and its problems. In Dialectic of the Enlightenment, Adorno and Horkheimer mistakenly conflate “instrumental reason” with reason as such and in that sense open up a door to irrationalism. But this does not mean that there is no such thing as “instrumental reason”. The term is but another name for the constricted and reified concept of science that derives from positivism. From the standpoint of a Marxist critique of Adorno and Horkheimer, we reject the identification of “instrumental reason” with reason, but at the same time we recognize that “instrumental reason” is indeed a profound social phenomenon of our time. We noted that North and his acolytes did far more than challenge the pessimistic conclusions of Adorno and Horkheimer, but dismissed any attempt to critique the limitations of the Enlightenment. And through the employment of crude guilt by association type arguments, they identified any attempt to critique the Enlightenment with postmodernism. North in his broadside against this one work of Adorno and Horkheimer also repeatedly lumps together the entire Frankfurt School in all its periods of evolution. By the time North wrote the Intellectual Odyssey of Alex Steiner, his antipathy to the Frankfurt School had taken on a new and bizarre dimension. He now blamed the Frankfurt School for the decline of Marxist culture in academia and beyond. He saw the influence of the Frankfurt School echoed in everything from “pomo” literary theory to ethnic studies departments and even pinned on its shoulders the decline of what he considered serious historical research. And beyond academia he saw its influence on the larger culture as all pervasive. I pointed out that North’s demonization of the Frankfurt School was a strange echo of the demonization of Marcuse in the hand of the neo-conservative author Alan Bloom in his influential book of the 1980’s, The Closing of the American Mind. Apparently not content with his earlier efforts North came out in 2012 with another broadside against the Frankfurt School, his The Theoretical and Historical Origins of the Pseudo-Left. In that piece he extends his denunciations of the Frankfurt School, blaming them not only for the decline of culture but also for being the inspiration for an amorphous political category he calls the “Pseudo-Left”, which according to North is responsible for a variety of evils in the history of the post-war period. What bedevils North most of all is his firm conviction that were it not for the machinations of the “Pseudo-Left” the political movement he leads would long ago have triumphed. This kind of delusional thinking permeates much of North’s “theoretical” work. In the summer of 2015 North made one more contribution to his denunciation of the Frankfurt School when he published a Foreword  to a printed version of his previous writings on the subject. The Foreword included nothing really new about the Franfkurt School but it did feature a new round of diatribes against Frank Brenner and me. This time North’s use of deliberate misrepresentations of what we said reached a new low. We responded to North in the essay, Crackpot Philosophy and Double-Speak. I used this occasion to classify North’s work as being part of a genre that I call “Crackpot Philosophy”. What I had in mind is the kind of “philosophy” espoused by the followers of Ayn Rand. It is not so much philosophy that is presented by the followers of Rand but a mythologized history - a conspiracy theory complete with its characters of arch-villains and their courageous opponents. Likewise for North’s narrative of the Frankfurt School. It is also no coincidence that such fake historical narratives are invariably linked to a cult-like organization where it is impermissible to question the ideas of its leader, for such ill-informed narratives cannot stand up to serious scrutiny. Why did North return to yet another round of his ongoing screed against the Frankfurt School in 2015? I think the reason has little to do with the Frankfurt School. Rather I think that our criticism of the sectarian position of the World Socialist Web Site on Greece must have raised North’s ire. That as well as our exposure of the poverty of their analysis of Russia and recent events in the Ukraine and Middle East were probably the tipping point that goaded North to return to his computer. Of course I cannot prove any of this, it is just speculation on my part, but I think a reasonable one. The evidence for this is admittedly circumstantial, but it seems to fit. First of all we had not written anything about the Frankfurt School in several years, not since our last major response to North in 2009. What we did do recently was publish a number of essays that punctured the political pretensions of the group North leads, the Socialist Equality Party. In any case whether I am correct or not about North’s motivation for entering the fray once more against the Frankfurt School, the latest piece by North seems to have caught the attention of Javier Sethness and for that I am grateful. It is another and welcome step toward intellectual clarity that someone besides me has noticed the intellectual fraud being carried out by North. Sethness response to North largely overlaps my own, although we do have differences in our assessment of the Frankfurt School. While I certainly agree with Sethness that the Frankfurt School made some valuable contributions that should be of interest to Marxists, particularly their investigations into mass psychology and the role of the culture industry, I am on the whole much more critical of the Frankfurt School than Xavier Sethness. But that is probably a topic for another day. There is however one historical point to which I must register my strong disagreement with Sethness. In his discussion of the Moscow Trials, I think Sethness bends the stick far too much in the other direction. Granted that it may have been unfair for North to paint the entire Frankfurt School as supporting the Moscow Trials on the basis of one letter from Adorno, it must be said that without exception, the figures associated with the Frankfurt School did not acquit themselves well in relation to the Moscow Trials. If ever there was a time for intellectuals to speak out against a criminal perversion of socialism this was it. Yet those associated with the Frankfurt School, despite their private misgivings, remained silent. There is no way such an action can be excused or condoned. When Frank Brenner and I first began our critique of the philosophical and political position of the World Socialist Web Site almost 15 years ago, we were at that time hoping that our criticisms could set into motion a process of reform within that organization. We were probably naïve in underestimating the degree to which that organization had become a sclerotic sect even 15 years ago. The processes that led to that impasse have only accelerated in the past 15 years. If we still occasionally write about the WSWS it is no longer with the hope of rescuing this moribund organization. It is simply to set the record straight and to expose the intellectual fraud being perpetrated by David North. I should also mention that in the course of our polemics against North and the WSWS we clarified many theoretical issues that should be of abiding interest to revolutionaries long after North and company are forgotten. We believe that this positive outcome of our critique will have an impact on others who set themselves the task of preparing for a future free from capitalist oppression. Even if we do not have all the answers for how to build a movement for revolutionary social change, I think we have at least provided a good lesson in how not to build such a movement. Marxism Without its Head or its Heart, Chapter 6, http://permanent-revolution.org/polemics/mwhh_ch06.pdf pages 160-166. As an observer of your writing, even via the Internet, through several years, the last paragraph leaves me lost in a lot of thoughts or mixed feelings. Especially, firstly, your unfulfilled hope "that our criticisms could set into motion a process of reform within that organization" makes me have more respect for your sincerity, and secondly, I make a decision not to be forgetful even for a moment about "a good lesson in how not to build such a movement." Re: "When Frank Brenner and I first began our critique of the philosophical and political position of the World Socialist Web Site almost 15 years ago, we were at that time hoping that our criticisms could set into motion a process of reform within that organization. We were probably naïve in underestimating the degree to which that organization had become a sclerotic sect even 15 years ago. The processes that led to that impasse have only accelerated in the past 15 years. If we still occasionally write about the WSWS it is no longer with the hope of rescuing this moribund organization." I was just wanting to point out that since the 2008 crash and especially the Wisconsin protests and Occupy Movement in 2011, and the subsequent interest in the working class for left and socialist politics, the Socialist Equality Party/WSWS has in fact only GROWN in membership and supporters/readers. The effect on the consciousness of the autoworkers under the control of the UAW during the 2015 contract negotiations alone and the number of people who signed up for the newsletter the WSWS publishes on the auto industry indicate that far from this organization actually being "moribund" or cut off from the working class, it is moving in the the precise opposite direction, and making some good initial inroads in exposing the ideas of Marxism to the working class. I expect this influence to continue to expand in the coming days, months and years. I note that you have nothing to say about the topic of this review, the butchery of the Frankfurt School at the hands of David North's crackpot philosophy. Instead of addressing that topic you claim, without providing any evidence, that the Socialist Equality Party has made important inroads among the working class. Even if that were true is that supposed to excuse or mitigate the intellectual fraud orchestrated by David North? Furthermore, I would certainly expect any left wing group to get some hearing among workers today. After all, millions of workers are reacting positively to a 74 year old politician who is talking about the need for a political revolution and socialism! Some of that anger and enthusiasm within the working class may very well land at the feet of the WSWS. But their sectarian mindset and poverty of theory, their abandonment of the Transitional Program and their organic contempt for any movement of the working class that is not directly led by them, will preclude any possibility of these episodes leading to anything lasting or serious. After all the SEP and its predecessor organization, the Workers League has had over thirty years to build a working class base in their home turf of Detroit. Where then are the SEP led factions inside or outside of the UAW? They don't exist. Forgive me, but I'm not an expert on The Frankfurt School or Postmodernism. I know a little, but I'm simply not qualified to assess who is correct in this debate, you or David North. That's a deficit of my own I intend to correct in the future when I have time to devote to it. Another union hack, Chad Wurtzel, noticing that workers were beginning to post one of the WSWS's newsletter articles to a union local FB page (https://www.wsws.org/en/articles/2015/12/14/next-d14.html), was compelled to openly denounce the WSWS by name, remarkably enough (https://www.wsws.org/en/articles/2015/12/15/wurt-d15.html). Such attacks would not be warranted if the Newsletter were not having an effect. As far as the value of whether or not these interventions will lead to positive developments, you and I obviously don't agree on that point, and my intention was not to convince you to come around to my point of view. For those who may be reading these boards, I just want to dispel the notion that the WSWS is moribund and cut off from the working class. Nothing could be father from the truth. I will leave it up to workers who are signing up for newsletters, and students and young people attending the meetings that have been taking place over the past few months (I just came from a very positive one in which good discussion was had at SUNY Geneseo) to study the program of the SEP and talk to its leadership, and make up your own minds. What Alex is saying is that the SEP's life as a Marxist organization has effectively ended, hence the description of the SEP as a "moribund organization". Adam is trying counter that proposition, saying the SEP/WSWS has GROWTH in members/readers, but that goes to prove the point, that Marxism is not the guiding philosophy of the SEP. If Adam is any indication of the prevailing views of the leadership/membership then PRAGMATISM is the guiding philosophy of the SEP, which considers theoretical disputes irrelevant and measures its successes based on the number of page views and articles published. This is at best a shallow conception of the development of socialist consciousness and has nothing in common with Marxism. Obviously that's Mark's opinion. My opinion would be the SEP is a Marxist Party, in opposition to the ruling class, the trade union bureaucracy, and in favor of an independent workers party based on socialism and the legacy of Trotskyism. Numbers alone would be irrelevant if this was not the case. But being as I believe it is the case, the numbers joining the SEP/WSWS Newsletter is the beginning of very exciting recent developments. And make up your own minds about the ideas upon which the SEP is based and what we fight for. It seems that for Adam, the success of a Marxist party is based upon how many people are drawn to their newsletters. Unfortunately, journalism by itself cannot suffice in terms of revolutionary agitation among workers, and party registration numbers is not a legitimate counter to political criticism. "Making up our own minds" will probably be his refrain from now on when he feels compelled to post sanitized links to the WSWS instead of evidence of a thriving revolutionary culture in a genuine Marxist party. As a worker myself, this isn't just unconvincing, it's weak sauce. He should take a hard look at the theoretical underpinnings of his position. Both Mark and Thomas make valid points. I take Adam to be representative of a certain type of follower of the WSWS and what I find interesting in his response is his steadfast avoidance of theoretical issues. Adam's cop out is that he "is not an expert" when it comes to the Frankfurt School and he assures us that eventually he will get around to reading something about it and then form an opinion. And I think Adam is typical of WSWS supporters who are in general not shy about responding to us but have not had a thing to say about the Frankfurt School either in response to this comment or any previous ones that we have posted. "My mind is made up and don't confuse me with the facts!" Now on the subject of the growing influence of the WSWS, I suppose on that topic Adam considers himself expert enough to make pronouncements. In relation to this question, I did ask earlier a question which has not been answered. The SEP made Detroit their home base almost 40 years ago - in the period 1978-1979. One of the rationales for moving to Detroit was that this was a city where you can find and engage with the working class. I think it is more than fair to ask why after almost 40 years the SEP cannot point to a single organized faction of workers, inside or outside of the UAW, trained in Marxist theory, that they have established in Detroit or anywhere else. To make myself clear, I don't avoid theoretical issues in general. I was simply making an open admission that I'm not familiar with the works of Marcuse, Adorno, Horkheimer, etc., and that I am not qualified to make any judgment about the nature of the Frankfurt School at this time. If I was a blind follower of David North, I would simply assume he was correct and dismiss Steiner's arguments. In fact, I am more than willing to consider them. But at the present time, I'm not qualified to make a judgment, and my only intention in posting on this thread was to correct the picture Steiner drew of the WSWS at the end of this post, which I have done. As far as the lack of any working class faction connected to the SEP, I would take a look at the political climate we are presently in. The level of working class consciousness at this point in time, and over the past 40 years, is not where we'd like it to be. Nor has the WL/SEP historically had the resources necessary to break through the propaganda of the establishment, education system, mainstream press, and especially the virulently nationalistic, anti-communist trade unions. In fact, this is the reason why I am pointing to the WSWS's successful intervention in the contract disputes with the Big Three, because it indicates social and economic conditions are beginning to persuade workers to give groups like the SEP a hearing. It's a good sign. Unless someone has anything of substance to say about the Frankfurt School and/or the discussions about it involving David North, myself and Javier Sethness, I am closing further comments on this topic. I fundamentally disagree that this polemic between North, and Alex Steiner and Frank Brenner is primarily about the Frankfurt school, that is North's narrative, his attempt to avoid any substantive issues concerning the nature the SEP. The critique of Javier Sethness is just further proof that the whole line of argument given by North is bogus. At its core this polemic is about Marxism, I don't need to tell Alex or Frank that, they wrote a book length Trotskyist critique of the SEP entitled "Marxism Without its Head or its Heart" (MWHH). That would be a must read for anyone willing to consider theoretical issues surrounding the SEP, such as Adam claims to be. Adam thinks the lack of success of the SEP has to do with resources, that is patently false, they have the resources to publish 5000 articles a year, but they don't have the resources to lead any significant contingent of the working class? The problems of the SEP, namely sectarianism, abstentionism, lack of dialectical philosophy, have been detailed countless times on this web site and in the many chapters of the MWHH. I categorically reject the label of 'sectarian' and 'abstentionist' re: the SEP. The activities of the SEP prove these to be slanders. Now, if you want to say that the efforts of the SEP end up leading nowhere, you can try and make that argument and I can try and rebut it, but you can't just attach labels to groups which aren't true. The SEP involves itself in every working-class struggle, strike and protest that it is able to attend, and it does so on the basis of a Marxist program. It is the only socialist organization in the United States fighting for the political independence of the working class, in opposition to the two business parties, the pseudo-left groups orbiting the Democrats, and the trade unions who continue to sell out their membership over and over again. "It is not difficult to be a revolutionary when revolution has already broken out and is in spate, when all people are joining the revolution just because they are carried away, because it is the vogue, and sometimes even from careerist motives. It is far more difficult—and far more precious—to be a revolutionary when the conditions for direct, open, really mass and really revolutionary struggle do not yet exist." When we describe the SEP as "sectarian" and "abstentionist" we are providing a scientific designation of that organization based on an exhaustive analysis of the theory and historical practice of that organization over several decades. "To a superficial mind it may seem that such words as sectarian, centrist, and so on, are merely polemical expressions exchanged by opponents for lack of other and more appropriate epithets. Yet the concept of sectarianism as well as the concept of centrism has a precise meaning in a Marxian dictionary. Marxism has built a scientific program upon the laws that govern the movement of capitalist society, which were discovered by it. This is a colossal conquest!" Some of the sectarian groups that Trotsky discusses were far more involved with strike activities and such than the SEP could every dream of. "It is the only socialist organization in the United States fighting for the political independence of the working class.."
How do you know that? Have you actually investigated other socialist organizations? Do you read anything else besides the WSWS? As for why the SEP has failed to establish a base in the working class after working in Detroit for almost 40 years, I find your excuses unconvincing. Certainly the bourgeoisie and the trade union bureaucracy have many more resources than the SEP. But then again, I did not ask if the SEP had built up a 40,000 member organization. I just wanted to know if they can point to a single group of workers they have trained who are leading a struggle inside or outside of the UAW. Are you seriously saying that the "objective conditions" have made it impossible to do that in the last 40 years? Perhaps you are not aware of it, but while these have not been revolutionary times in the U.S. for the past 40 years, neither have they been devoid of important class struggles. To mention just a few, some of which the SEP and its predecessor organization was involved with: The PatCo strike, the Greyhound Bus Drivers strike, the Caterpillar strike, The Hormel strike, the New York Transit Workers strike, the mobilization against the war in Iraq, the mass movement against union busting in Wisconsin and occupation of the capital, the Occupy Wall Street movement, and I am leaving out literally dozens of other upsurges. Not a single group could be recruited and trained from all these struggles? You are of course correct that the real issue is not our different assessments of the Frankfurt School, but Marxism and its living expression in the 21st century. And you are also correct that David North brought up the Frankfurt School initially in an attempt to move the discussion away from the key theoretical questions we introduced and divert it into a smear campaign. But at the same time the discussion of the Frankfurt School does touch on a number of theoretical issues that we raised, namely the heritage of Enlightenment for Marxists, the importance of mass psychology for revolutionaries, the critique of positivism and the relationship between the objective and subjective in history. North's distorted narrative of the Frankfurt School was therefore not only an attempt to divert the discussion by smearing me but also represented his attempt to defend his version of a vulgarized Marxism. North was not satisfied in expressing his disagreement with the Frankfurt School on some of the key issues, but he found it necessary to distort their position and butcher their history in his account. It was therefore necessary to address in detail the factual and philosophical misrepresentations North created in order to return the discussion to the fundamental issues that we raised. More recently, a historian of the Frankfurt School, Javier Sethness, who has no connection to our polemics with North, took note of North's bastardization of the history of the Frankfurt School and wrote a devastating review of it independently of us. We commented on his review and that generated the current discussion. And what is noteworthy is that there is not a single comment from any supporter of the WSWS that has anything of substance to say about the Frankfurt School. Since North's evaluation of the Frankfurt School is, at least by his standards, key to his entire political outlook, I find the avoidance of this topic by his supporters a telling indication of the theoretical vacuum he has cultivated. What is immediately apparent in all North's drivellings is the tracing back of ideology to more ideology, or to politics, the clear implication being that secondary phenomena enjoy a life quite independent of their economic root. Take his most recent blaming the lack of mass Marxist parties today, primarily on Stalinism and other subjective factors. This evasion of economy is, I believe, a most fundamental ingredient of ICFI politics. It flows from an evasion of studying, firstly, Soviet economy, which, far from "confirming Trotsky's/the ICFI's prognosis", shows that Trotsky had a terribly limited understanding of it, its internal dynamics, and therefore, what the Soviet Union was actually becoming. The evasion of economy is also, then, the evasion of acknowledging being wrong, terribly wrong, for decades, from this, investigation of the class interests their derailed political line has come to represent. The ICFI has preferred to compound error with more error and drift into the idealist camp in which North and his acolytes box with ideological shadows and where phenomena are never studied at their material root. Nick Beams makes authoritative sounding statements on economic matters, referring to "scientific analysis" and the like, but the kings, all of them, have no clothes. Where's the data? Where's the analysis of the data? Nowhere to be found. I don't agree that Trotsky's analysis of the Soviet Union was wrong but that is a separate topic. The SEP on the nature of Russia and China. "Dave, maybe philosophy is not your strong point. Perhaps you should stick to a safer topic?" 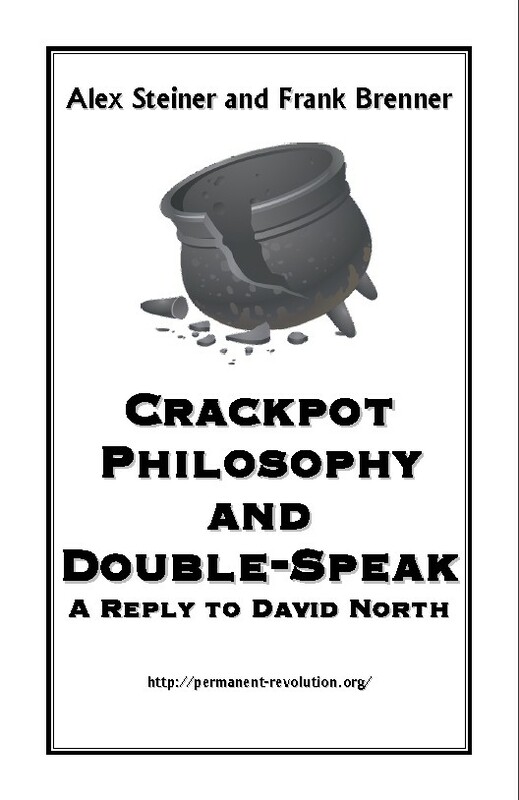 As I said in Crackpot Philosophy and Double-Speak North's venture into what he calls a "Marxist critique of the Frankfurt School" is an example of Crackpot Philosophy. Having been exposed as an intellectual fraud several times - and not just by me - most people in his position would avoid the subject altogether or at least keep a low profile. But not North. He shares with Donald Trump an inability to ever admit he is wrong about anything and therefore goes wading further and further into the manure. "The Bolshevik-Leninist stands in the front-line trenches of all kinds of struggles, even when they involve only the most modest material interests or democratic rights of the working class. He takes active part in mass trade unions for the purpose of strengthening them and raising their spirit of militancy. He fights uncompromisingly against any attempt to subordinate the unions to the bourgeois state and bind the proletariat to “compulsory arbitration” and every other form of police guardianship – not only fascist but also “democratic.” Only on the basis of such work within the trade unions is successful struggle possible against the reformists, including those of the Stalinist bureaucracy. Sectarian attempts to build or preserve small “revolutionary” unions, as a second edition of the party, signify in actuality the renouncing of the struggle for leadership of the working class. It is necessary to establish this firm rule: self-isolation of the capitulationist variety from mass trade unions, which is tantamount to a betrayal of the revolution, is incompatible with membership in the Fourth International." You are correct. But I think that when Trotsky indicted the sectarian outfits of his day as "renouncing the struggle for leadership of the working class" he never imagined that such groups can continue for 40 years still doing the same thing they have always been doing with more or less the same lack of success from year to year. No, I would say the SEP must be assessed on an entirely different level. It hardly seems right to say that they have "renounced the struggle for leadership of the working class" when they never had a clue about what that struggle entailed in the first place. All one can say is that their sectarianism hardened over the years until now they are a sterile semi-cult more concerned with keeping their own members and followers inside the bubble they have created than with anything having to do with the working class. At one time they at least gave lip service to things like intervening in the working class and its organizations to build a labor party even if the significance of these programmatic points was poorly understood. When I was in the Workers League in the 1970's we strongly emphasized the slogan, "30 hours work for 40 hours pay" as a key transitional demand in the struggle against unemployment. Transitional demands today play no role whatsoever in the life of this organization. I agree with your comments on the sectarian nature of the SEP. I also agree that the demand of 30 for 40 was a transitional demand in the mid 1970s. At that time, the Workers League also campaigned and propagandized for the formation of a labor party "based on the trade unions." As part of the political struggle for a labor party, the 30 for 40 demand as well as others did necessitate dealing with the limits of capitalism and the need for socialism. In that period, we were in the midst of a strike wave that rose in response to speed-up and challenges to job rules as well as the political crises of the Vietnam defeat and the Watergate. Challenging the Democratic Party alliance with the AFL-CIO bureaucracy with the labor party demand was central. However, today, there is a low level of militancy and the nature of the US union movement has essentially changed. 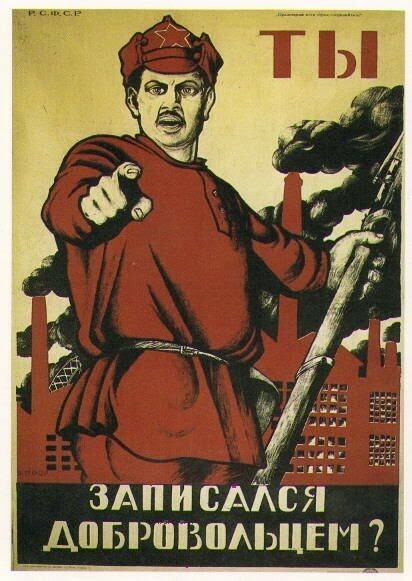 Wouldn't a labor party demand today be another way for people like Trumka to form another reformist channel? On the other hand, calling for "workers committees" and the like seems utterly sectarian. I am aware that Trotsky constantly warned against adapting to the level of thinking of the mass of the working class, but it would neem inescapable that it is necessary to adapt, if you will, to the level of militancy. Of course it goes without saying that bureaucrats like Trumka will try to turn every left wing movement within the working class into the safe channel of the Democratic Party or a proxy for the Democratic Party like the Working Families Party. The WSWS sectarians draw the lesson from this that therefore they should abstain from movements like Sanders since it is nothing more than a "trap" for the working class. Our attitude is the opposite. We should participate in the left movements of the working class while maintaining our political independence. Whether these left movements become hardened as appendages to the Democratic Party ( which by the way is hardly reformist but a party of austerity today) or not depends on the outcome of a struggle within these movements. Transitional demands are a tactic in bridging the gap between the level of consciousness of the working class and the requirements of the objective situation. As such there is a level of pedagogic adaptation to the level of militancy of the class, but never an adaptation of our basic principles. In other words, while challenging the reformist consciousness of the working class, you must also speak to workers in a language to which they can relate as a result of their own experience. Giving stern lectures to workers that they should build rank and file committees (to do what exactly?) and join the SEP and read the WSWS is absurd. Furthermore workers are told that unless they do these things immediately their struggle will inevitably be defeated. This attitude of the SEP, which can only be described as one of contempt for the real working class while idolizing a mythological working class of their dreams, leads to the kind of results one would expect. It is true that the conditions for a labor party are very different today than they were during the period of labor militancy in the 1970's. Nevertheless I think there is still a need, perhaps more than ever, to campaign for a working class party independent of the Democrats and Republicans. One such effort I saw at the recent Left Forum was a group that was petitioning Sanders to break from the Democratic Party and form a new working class party to fight for his political revolution. While I think this particular effort is misguided because it sows illusions in Sanders after he has demonstrated his capitulation to the Democratic Party establishment, it at least shows that it is possible to wage a campaign for a working class party and get some response.